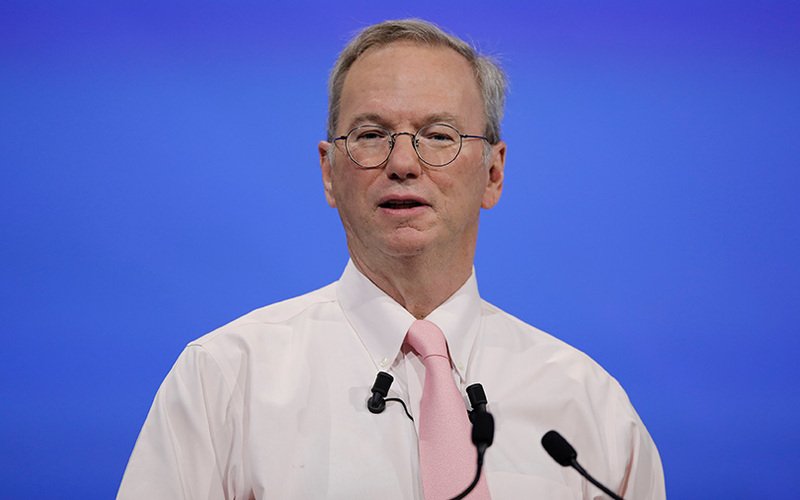 Former executive chairman of Google and billionaire Eric Schmidt has now publicly backed the Ethereum platform, which is a blockchain, or a digital public ledger. Schmidt, in an interview with an economist, said that Ethereum was a powerful piece of technology or platform and had immense potential. "I think the most interesting stuff that’s going on is the beginning of execution on top of the blockchain — the most obvious example being the capability of Ethereum,” Schmidt said. In his response to a question on the buzz around blockchain, Schmidt said that it was being hyped in the public domain but little had been done on the enterprise level and the tech was being underrated. “Today, blockchain is a great platform for bitcoin and other currencies. And it’s a great platform for private banking transactions where people don’t trust each other,” Schmidt said. This is not the first time Schmidt has backed a blockchain-based cryptocurrency publicly. In 2014, when people hardly knew about bitcoin, Schmidt had said that the cryptocurrency could prove to be a game-changer. “Bitcoin is a remarkable cryptographic achievement. The ability to create something which is not duplicable in the digital world has enormous value,” cryptocurrency news site CCN quoted Schmidt as saying in 2014. Schmidt had then also said that bitcoin's architecture was amazing and it would enable a lot of people to build their businesses on top of that. The CCN report also claims that Schmidt was first introduced to cryptocurrencies in 2011 by Wikileaks founder Julian Assange, who had asked the former to invest in these new currencies. Interestingly, other top Google executives are also fans of cryptocurrencies. Sundar Pichai, who now serves as the chief executive of Google, has said that he and his son mine Ethereum at home via a computer which Pichai built himself. Google co-founder Sergey Brin also said that he joins his son on cryptomining missions.